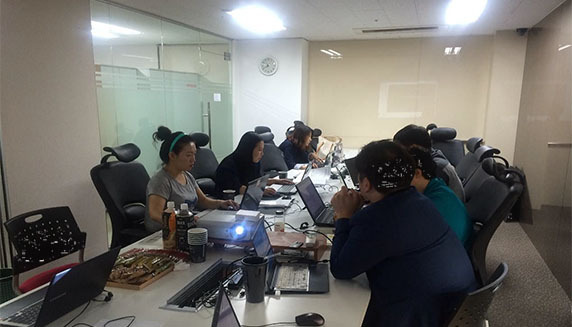 A little over 20 trusted ZWCAD users from industries such as engineering industry, construction industry and mechanical industry have participated in the user test for ZWCAD 2017 from May to June this year in Korea. The ZWCAD user test is an external pilot-test before commercial quantity production, it is for and by the end users to uncover defects and share their ideas for ZWCAD directly to the ZWCAD product team, and let the product team know if the proposed solutions are viable before they are released to a wider user base. Two rounds of the pilot-tests have been held respectively in May and June. Before the test, the ZWCAD partner in Korea have prepared all necessary equipment for the participants. Participants have honestly given their feedbacks, shared ideas and reported issues to the product team of ZWCAD so they can fix issues and make improvements from their feedback and make this the best release of ZWCAD possible. Each participant was given 200 thousand KRW (around 179 USD) per day as reward, and as for the top three outstanding testers, they were given an extra 300 thousand KRW, 20 thousand KRW and 10 thousand KRW respectively. During the lunch break, each participant was offered a delicious free lunch worth 10 thousand KRW (around 8.93 USD) and other snacks. ZWCAD Software Co., Ltd. is an international CAD software provider through its network of over 300 partners in 80+ countries and regions. Its product ZWCAD is used by CAD designers across the AEC and MCAD industries.